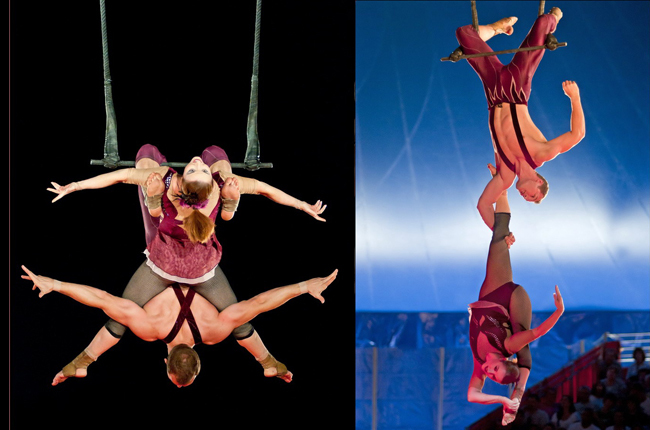 In contrast to the other forms of trapeze, on static trapeze the bars and ropes mainly stay in place. A single artist will do poses, drops, and other tricks above and below the bar; the ropes playing just as important part as the bar. A partner act or a duo trapeze act will involve the partners working together — supporting each other's weight, throwing, lifting and catching each other.